On Thursday, the Senate Banking Committee  conducted a hearing on the nomination of Dr. Mark Calabria as Director of the Federal Housing Finance Agency (FHFA) along with the nominations of Bimal Patel, of Georgia, to be an Assistant Secretary of the Treasury ; Todd M. Harper, of Virginia, to be a Member of the National Credit Union Administration Board ; and Rodney Hood, of North Carolina, to be a Member of the National Credit Union Administration Board. 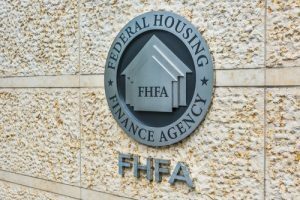 The Trump administration announced Calabria's nomination to head the FHFA in December. He is currently the Chief Economist to Vice President Mike Pence. If confirmed, Calabria would have significant influence over the housing finance market at the FHFA. Opening the proceedings for the hearing, Sen. Mike Crapo, Chairman of the Banking Committee said, "FHFA can also play an important role in helping us move toward a more sustainable housing finance system facilitated by an engaged and strongly capitalized private sector." "All the nominees today, if confirmed, have the opportunity to improve American lives, they can make it easier for families to buy homes with mortgages," said Ranking Member Sen. Sherrod Brown during his opening remarks. While his prepared remarks didn't mention the current administration's goal of the privatization of the government-sponsored enterprises (GSEs), Fannie Mae and Freddie Mac, Calabria addressed these issues during his discussions with the Committee. Calabria said that if he was confirmed as Director of the FHFA his role would be to "carry out the clear intent of Congress, not impose my own vision." 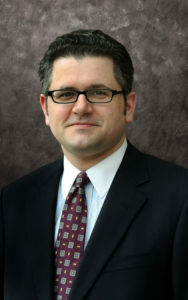 Giving an outline of what his priorities would be if confirmed, Calabria said that a number of critical elements were needed in reform such as a "greater need for competition." He said the current FHFA mandate was clearly where "the regulator cannot make such changes." As a result, he said, "The very broad changes that have to happen in the mortgage finance system have to be done by Congress." He also clarified the reports on FHFA Acting Director Joseph Otting's remarks on the privatization of the GSEs, saying that the remarks were made more to raise the morale of the staff at FHFA than anything else. "My read of what I believe he said was to convey a sense of urgency to the FHFA staff. What he referred to in the terms of me signing off was my longstanding loud support for housing finance reforms. I believe he was conveying to the staff through a pep talk that we will move forward," Calabria said. Before his nomination for this post, Calabria told the committee that he was involved in conversations around December 2017 that allowed a $3 billion cushion for the GSEs and had supported the amendment of allowing a "modest capital buffer so that we would not have to force a draw, partly because of the impact of the tax reform or the deferred tax losses being held by the GSEs." Addressing his views on the affordable housing goals Calabria said that his past concerns with affordable housing goals were in the context of "two large institutions with zero capital." However, he added, "I do believe we can get to a spot where we can have risk-taking via affordable housing goals if we can have an appropriate regulatory structure that has capital backing those goals. I'm very concerned about any large financial institution where we push it to take an additional risk without the appropriate regulatory structure in place." Clarifying his comments on getting rid of the GSEs in the past, he said that they were essentially pointed towards getting rid of the model of privatize gains and socialize losses. "I believe all large financial institutions need to be well capitalized more managed, more regulated, and I believe the GSEs were "none of the above" before the crisis. My concern is the fundamental model of the heads of Fannie and Freddie walk out with a lot of money while the rest of us get holding the bag. I want these entities to be good corporate citizens, I want them to be the model of how other corporation should want to behave." Answering a question on the role of the FHFA if the housing market faced another crisis, Calabria said, that it was appropriate for the FHFA to offer assistance to affected borrowers and that "we should recognize and applaud the efforts of Ed DeMarco for the wide-based forbearance that was done by FHFA during the past crisis." However, he stressed that the agency needed to "approach different borrowers differently" and that the mortgage market should set an expectation for those who can pay, should pay and "focus our efforts on those who can't pay and need assistance." "FHFA is absolutely necessary," Calabria said while answering a question on why he wanted to take up this job, despite his past remarks. "In fact, I want to raise the stature of FHFA. I remember how the employees at its predecessor felt and their inability to stand up and be able to do effective financial regulation. I'm committed to seeing turning FHFA into a world-class regulator." He also gave his views on the 30-year fixed-rate mortgage saying that it was important to have the 30-year rate and that he intended to keep it that way. Click here  to view the full testimony.